Whether a Single Member can Constitute a HUF ? HUF as the term denotes is a family consisting of group of persons who are descendants of a common ancestor. Therefore, it is little surprising as to how a single member can constitute a HUF. The simple answer to this question is in the negative. a) A HUF is reduced to a single member on account of death of all other members. b) A bachelor individual receiving certain properties on partition of his father’s HUF claiming the status of HUF either on receipt of this property or on partition or on marriage. In a number of court cases, the issue has arisen and in one such case - CIT vs Vishnu Kumar Bhaiya (Madhya Pradesh High Court) reported at 142 ITR 357(1983), the Hon’ble court decided that a single member, either male or female cannot constitute a HUF. It is pertinent to note here that a Special Leave Petition (SLP) against this decision was granted by Supreme Court on 27/2/1984 as reported at Vishnu Kumar Bhaiya vs CIT (1984) 146 ITR (St) 187 and is still pending. In the aforesaid decision of the Balkrishna Goyal, the Hon’ble M.P. High Court considered the full bench decision of CIT vs Krishna Kumar (1983) 143 ITR 462. Family always signifies a group. Plurality of persons is an essential attribute of a family. A single, person male or female, doesn’t constitute a family. A family consisting of a single individual is a contradiction in terms. 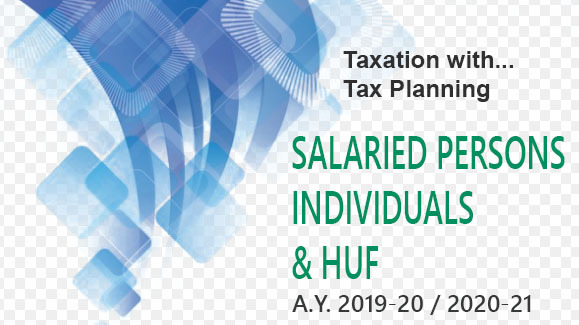 Section 2(31) of the Income-tax Act, 1961 treats a Hindu Undivided family as an entity distinct and different from an individual. Assessment in the status of a HUF can be made only when there are two or more members of the HUF. Thus, in no unequivocal terms, it can be said that a single member cannot claim the status of HUF. Oiie must not confuse between a sole coparcener and a single member. A HUF can very well consist of a sole surviving coparcener and another member who may not be a coparcener. In such a case, there are two members and not a single member in the HUF. A sole surviving coparceners holds the ancestral property but would be assessed as an individual in the absence of any other member / coparcener. However if he adopts a child, it would immediately assessable as HUF because the adopted child would have equal share in the ancestral property.